The key to finding a great deal on used camera gear is knowing when to be patient and when to pounce. I buy most of my gear used. In today’s consumerist global society, objects, toys, and tech like cameras become obsolete every six months or so, or even sooner than that. There’s so many great cameras that you can find on the secondhand market. The only trouble is convincing your inner capitalistic demons that you don’t need the newest, latest, highest MP count, or IBIS stabilization, or .2 less f stop!! Get that inner disciplined shopping warrior awake! Much of the junk out there in the photography gear circuit will tell you, you need the latest and greatest, which is amidst more junk from photographers that will tell you that the only camera that matters is the one you have with you (blah blah blah)…yet said photographers are touting the latest tech and being sponsored by brands (receiving free gear for reviews). Hmmm…doesn’t smell right to me. 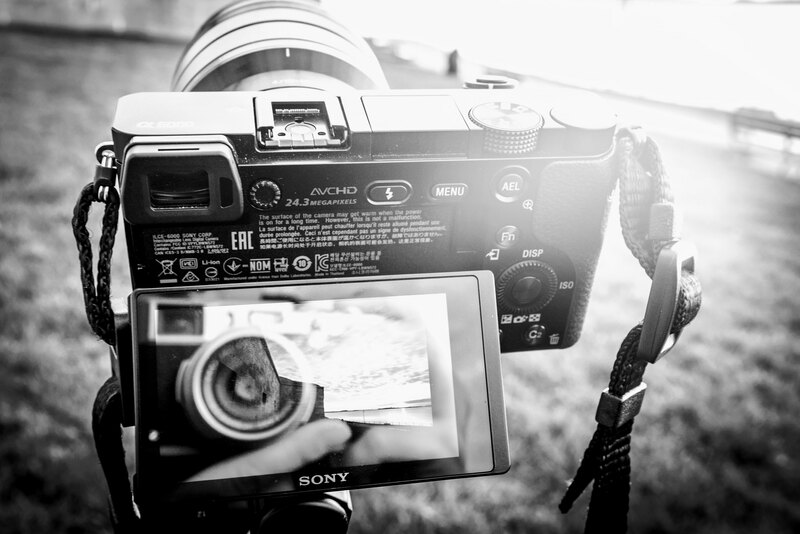 If you don’t have a camera or want an upgrade – the one that you need is the one that A – fits in your budget and B – has the capabilities and tools to be able to do what you need it to do. Forget about what you want (unless you have spare money and want to blow it away needlessly). That is the first rule of budgeting. Wants are out. Needs are considered. Necessities are priority. Before even looking for a camera, you need to sit down, be realistic, and figure out how much you want to spend…from your DEBIT account. NOT your credit card. Take the advice or leave it, but this will make you feel much better in the end. Budget from your debit, your checking accounts. If you don’t have the money, please wait until you have saved enough. Don’t put it on the credit card. This is how credit card companies get you! And that’s not even everything! That’s only the basic. Maintain everything within your budget. If you can only spend $500, you cannot buy a camera that is $450, you only have $50 left for lenses and everything else, especially insurance. Trust me, you will want the insurance. It’s worth it. I recommend getting the drops and spills extra insurance too, not only the basic. You will thank me!! Once you’ve got your budget, set out a checklist of specs or functionalities you need from the camera. The camera is a tool, not an accessory. If you think cameras are only good for fashionable accessories, get out. There’s the door. 🙂 Good? Ok, moving on – Prepare a list of what you need, not what you want. Set out a list of must haves and nice to haves. Search based only upon this list (only on must haves) and the budget you set. Here are a selection of places to find used camera gear that I would personally recommend. I love Adorama’s used inventory. Sometimes there is not much, it depends on what they have, what is going out of style or date. I’ve found most of my used gear here. They are reliable and fast. They have protection plans and warranties. You can also trade in your gear here for proceeds towards the item you are looking to purchase. My favorite aspect of shopping for used gear here is the rating system that they have. They rate the used gear from Like New to pretty much For Parts. Most of the inventory is excellent or good grade. It’s working perfectly, just might have a scratch or two. But honestly, if you buy new, you might scratch the camera taking it out of the box. These are tools to be used, not decorative necklaces! Another helpful thing of Adorama is that you have a reliable company evaluating the used gear, instead of one person or company that really wants to sell it on Ebay and might not be as truthful or reliable as a company such as Adorama. Buying from here actually just feels like buying a new camera. The most common brands you will find used here are Sony and Fujifilm. Which is fantastic because these are so much more expense new and other places where they are sold. These are not always the cheapest option, but sometimes you never know what you can find here in their used inventory. You might not find cheap camera bodies, but there might be some used cheap lenses depending on the store. One near me is the Newton Camera Store and they keep an online inventory of used products. I find this is one of the best options if you are looking for film cameras instead of digital. B&H Photo – Used – less user friendly than Adorama, less inventory, and higher used prices. That’s my experience. It depends on what kind of gear you are searching for. Amazon – I find most of the tech sold here secondhand is more expensive than other places like Ebay or Adorama. Buying used has saved me so much money over the years. I’ve never had a problem with any item that I have purchased used. One tip – ALWAYS buy a service plan. Squaretrade is really good. In the event that you have an issue, they take your camera and fix it. That’s it. Never buy used, or new for that matter, without a protection plan. I would recommend spending more money for the extra Drops & Spills one. That way, anything that happens, your investment is backed up. Hakuna Matata! This is why Adorama is my favorite because you can easily add a protection plan to the camera when checking out. If you want to read more about the gear I have had success with – click here!